He rose to fame in the 1980s when his Nohas gained popularity overseas. Since then he has recited several hundred Nohas all over the world wherever a Shia population exists. He has also released recorded collections of 9 to 12 Nohas every year since 1980 and has published many books of his Nohas. Hehas hitherto released 32 albums of Noha cassette, CDs and DVDs from 1980 - 2013.Though he mostly recites in Urdu,he has also recited in languages such as Sindhi, Sariki, Punjabi, Pushto,Pourbi, Hindi, Gujarati, Persian, Arabic, English, and French. He is very popular among the youth with many copying his style to be similarly popular and some of them have seen success. His collections of Nohas are very popular during the Islamic month of Muharram when his Nohas are listened to and recited by many. He has collaborated several times with the famous Pakistani Poet Rehan Azmi. Most of the Nohas recited by him are his "Kalaam". Nadeem Sarwar is a Noha Khwaan from Karachi, Pakistan. Nohas are poetry vocalized melodically in expressing the sorrow felt by Shi’a Muslims for their leader Prophet Muhammad’s (SW) grandson Imam Hussain (AS) and his family who were martyred at the Battle of Karbala, Iraq on 10th Muharram in the year 61 of Islamic calendar (680 AD). Nadeem Sarwar is the son of late Syed Asrar Hussain Rizvi and Syeda Narjis Khatoon. Atthe age of four he started Noha Khuwani with help of his mother and father. Nadeem Sarwar is married and has 3 children, 2 sons and 1 daughter and lives inKarachi, Pakistan. 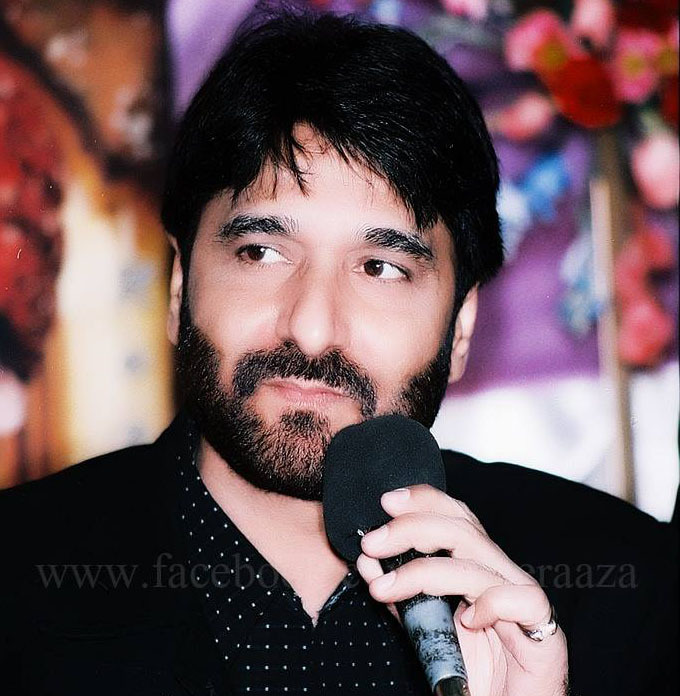 His sons are Ali Shanawar and Ali Jee and both also very famous noha reciters in the world. Nadeem Sarwar has recited in different languages such as Urdu, Sindhi, Saraiki,Punjabi, Pushto, Pourbi, Hindi, Gujarati, Persian and Arabic.Nadeem Sarwar has recited Noha in many different ways of matam like Persian matam,Arabic matam, Quetta matam, Parachanar matam, Afghan matam, Sariki matam,Punjabi matam, Sindhi matam, Hyderabad Deccan matam and Khoja Shia thna Asheri matam. Nadeem Sarwar has recited more than 300 kalaams up to date. Nadeem Sarwar have maintained the quality and standard of his albums for the last 32 years and have also maintained his no 1 position in the world of noharecitation. These Marsias and Noha are very popular especially with children. 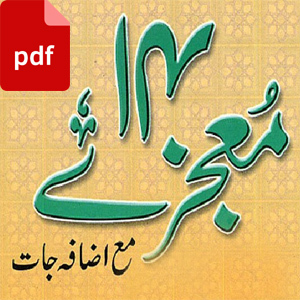 Nadeem Sarwar has recited these Marsias and Nohas from writers of Islam, such as Mir Babar Ali Anis, Mirza Salamat Ali, Dabeer, Mirza Ghulam Mohammad Nazeer (Brother of Dabeer) Nisar Mussayab, H.Naqvi Sadaf Jalalvi, Anees Pahersari, Shohrat Bilgrami, Mehshar Lakhnavi, Kazim Shaukat Bilgrami, Dr. Hilaal Naqvi, Aal -e- Muhammad Razmi, Rehan Aazmi. Nadeem Sarwar has travelled to 4 continents throughout to promote Azadari, These include many countries and cities around the Globe, including the best of Imam bargah. He has had many other invitations from various other cities. He has seen Azadari at different levels. Whilst travelling the world, Nadeem Sarwar has been given the chance to appear in many world-wide as well as local newspapers and television stations, including, TelevisionAsia, ZeeTV, Pakistan Television, Dar-es-Salaam Television and Midlands Asian Television, Ahlebait TV, Haadi TV,Geo TV, ARY TV, Samaa TV, Metro TV and numerous other TV channels of India,Pakistan and Arab. Academic background: mechanical engineering, commercial designing, fine art, as well as interior designing. Nadeem Sarwar also played first class cricket in Pakistan and also have interest Table Tennis & Badminton.